Themed “Nha Trang - Colors of the Sea”, the opening ceremony of the National Tourism Year 2019 was held on the evening of December 31, 2018, to open a series of attractive tourist activities. This is an opportunity but also a challenge for the tourism sector of Nha Trang City, Khanh Hoa province. Responding to the National Tourism Year 2019, Nha Trang - Khanh Hoa will host hundreds of events, starting with the Announcing Ceremony of the National Tourism Year 2019 launched in late 2018, followed by other outstanding activities like Miss Universe 2019, KN International Golf Championship and Hong Kong - Nha Trang Yacht Race. These activities will be divided into three groups, including: 13 launched by the Ministry of Culture, Sports and Tourism in coordination with other ministries and central bodies, 61 organized by Khanh Hoa province and 35 hosted by other provinces and cities throughout the country. 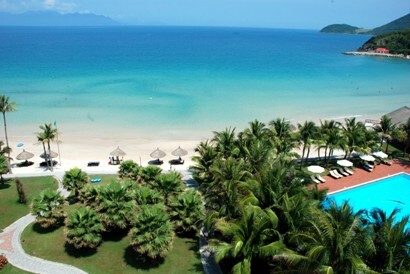 Notably, the suggested theme “Colors of the Sea” generalizes the common feature of tourism in central coastal provinces, featured by Khanh Hoa, Da Nang and regional provinces which have beautiful beaches, unique and distinctive cultures to leave strong impressions on tourists. In the past few years, with outstanding advantages, right direction and effective advertisement, the tourism sector of Khanh Hoa province has always maintained a high growth rate. In just five years, tourist arrivals to Khanh Hoa have grown exponentially, from 2.3 million in 2012 to 5.5 million in 2017. In the first 10 months of 2018, tourist arrivals reached 5.4 million, including 2.33 million international visitors. Activities within the framework of the National Tourism Year 2019 are not only invested much in budget and human resources, but also caught the attention of all-level leadership and enthusiastic response of local people. In addition, service providers in general and tourism workers in particular expect to create a strong boost to develop tourism in the central coastal provinces, including Khanh Hoa, in the coming time. Nevertheless, to make these activities effective, tourism authorities and companies need to have meticulous preparations and, above all, coordination and support from all stakeholders such as infrastructure, accommodation and transportation systems. Moreover, with such a series of attractive activities, Khanh Hoa needs well-prepared plans to meet the travel, leisure, sightseeing, food and shopping needs of visitors. Accordingly, in addition to increasing room availability, improving room quality and value-added services such as swimming pools, gyms and spas also need to be improved. How to travel in every trip is also very important. Therefore, besides group traveling, other mobility services such as day-to-day car rental, short-distance moving vehicles and city-visiting cars should also be expanded to meet tourists’ increasing demands. Moreover, according to travel businesses, the tourism industry of Khanh Hoa province needs to build more diversified tourism products, integrate attractive shopping and entertainment places to stimulate travelers’ demands. Together with tourism activities, Nha Trang in particular and central coastal provinces in general need to work out a sustainable tourism plan to ensure economic performance, environmental protection and national cultural identity preservation. Needless to say, attractive activities within the framework of the National Tourism Year 2019 have opened opportunities for coastal provinces, especially Khanh Hoa, to introduce and promote tourism to boost economic development and improve local living conditions. This is also a challenge for authorities and tourism workers to make these activities attractive and effective.